After a sold-out run, Follies, winner of the Olivier Award for Best Musical Revival, returns. Follies National Theatre London tickets on sale now! Follies, the award-winning musical by legendary composer and lyricist Stephen Sondheim (Company, Sweeney Todd, Gypsy, West Side Story), has returned to the National Theatre for a strictly limited run. The 2017 London revival of Follies was nominated for nine Olivier Awards last year, taking home the award for Best Musical Revival and Best Costume Design (Vicki Mortimer). Considering that the Sondheim musical completely sold out at the National Theatre in 2017, Follies tickets are already in high demand. Be sure to book your tickets as soon as possible for the best seats and prices! What is the Follies musical about? Flashback to 1971's New York. A razzmatazz party is bumping and bustling on the Weismann Theatre stage. Tomorrow, this historical Broadway theatre faces demolition, having once served as the iconic venue for the Weismann's Follies production nearly three decades ago. The show's past performers reunite on the eve of the building's destruction to sing some tunes and reminisce the good times before the next day's fateful wrecking ball. 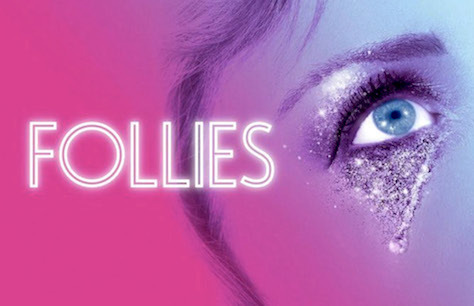 Follies is directed by Dominic Cooke and stars a 21-piece orchestra and 40-strong cast who perform all the musical's unforgettable numbers, from 'Broadway Baby' and 'Losing My Mind' to I'm Still Here'. The show also features choreography by Bill Deamer, design by Vicki Mortimer, orchestrations by Jonathan Tunick and Josh Clayton, music supervision by Nicholas Skillbeck, music direction by Nigel Lilley, lighting design by Paule Constable, sound design by Paul Groothuis, associate direction by Josh Seymour, associate design by Matt Hellyer, associate choreography by Kylie Anne Cruikshanks, associate music direction by Jennifer Whyte and associate sound design by Alexander Caplen. The cast stars Adrian Grove as Sam Deems/US Benjamin Stone, Aimee Hodnett as Young Sandra/US Young Sally, Alexander Hanson as Benjamin Stone, Alison Langer as Young Heidi, Alyn Hawke as Cameraman/US Young Buddy, Billy Boyle as Theodore Whitman, Bruce Graham as Roscoe, Caroline Fitzgerald as Sandra Crane/US Heidi Schiller, Christine Tucker as Young Phyllis, Claire Moore as Hattie Walker, Dawn Hope as Stella Deems, Felicity Lott as Heidi Schiller (until 8 April), Gary Raymond as Dimitri Weismann, Gemma Sutton as Young Sally, Geraldine Fitzgerald as Solange LaFitte, Harry Hepple as Young Buddy, Ian McIntosh as Young Ben, Ian McLarnon as TV Interviewer/US Buddy Plummer/Roscoe, Janie Dee as Phylis Rogers Stone, Jasmine Kerr as Young Meredith/US Young Stella, Jeremy Batt as Young Theodore, Joanna Riding as Sally Durrant Plummer, Josephine Barstow as Heidi Schiller (from 6 May), Julie Armstrong as Christine Donovan/US Phyllis Rogers Stone/Solange LaFitte/Carlotta Campion, Kaye Brown as Meredith Lane/US Stella Deems, Liam Wrate as Young Roscoe/US Chorus Boys, Lindsay Atherton as Young Carlotta, Lisa Ritchie as Young Hattie, Liz Ewing as Weismann's PA/US Hattie Walker/Emily Whitman/Sandra Crane/Deedee West/Christine Donovan, Liz Izen as Deedee West/US Sally Durant Plummer, Michael Remick as Ensemble/US Dimitri Weismann/Theodore Whitman/Sam Deems, Monica Swayne as Young Christine/US Show Girls, Myra Sands as Emily Whitman, Peter Forbes as Buddy Plummer, Rohan Richards as Kevin, Rosanna Bates as Young Emily, Sarah-Marie Maxwell as Young Solange/US Young Phyllis, Tom Partridge as Ensemble/US Young Ben, Tracie Bennett as Carlotta Campion, and Vanessa Fisher as Young Stella. Tickets to the National Theatre production of Follies selling fast! It would be 'foolish' to miss out on Follies, Stephen Sondheim's Tony and Olivier Award-winning musical now playing a critically acclaimed run at the National Theatre in London. Book your tickets to Follies now while stocks last! Audio-described performances, for blind and visually impaired people: Fri 22 March, 7.30pm Sat 23 March, 2pm preceded by a Touch Tour. Captioned performances, for deaf or hard-of-hearing people: Mon 18 March, 7.30pm Tue 26 March, 2pm. Saw it last year and now with some cast changes. Last year and this year were Brilliant! Dreams distorted by time set to a backdrop of feathers, sequins and brilliant dancing. A very poignant and a grate way to spend an evening.